Danish-born and educated Refn, whose previous work has been in genre films and TV, surprises with this dramatic, violent, but highly artistic film, described as "a 1200 horsepower hybrid". 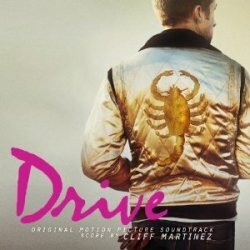 Ryan Gosling, one of the best young actors working today, plays a Hollywood stunt driver who moonlights as a "wheelman" in a robbery to help a woman he loves. Quickly he realizes that the heist is a set-up and he is being targets by some pretty nasty individuals. A propulsive, streamlines independent film, Drive went on to win Best Director at Cannes and has garnered many other prizes for its stylistic retro thriller look and its rendering of the ambiguous anti-hero known as Driver.